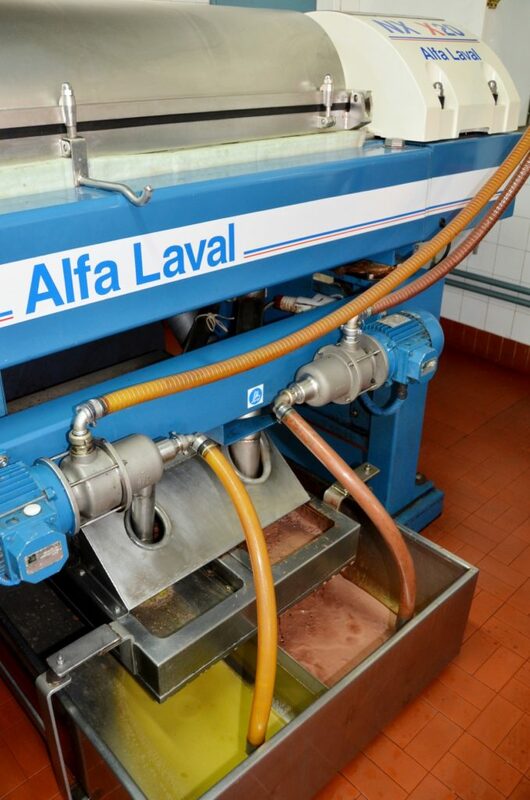 This machinery is used to get the olives ready for the oil production. 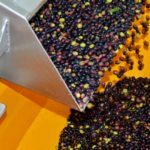 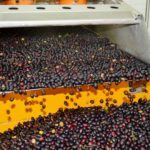 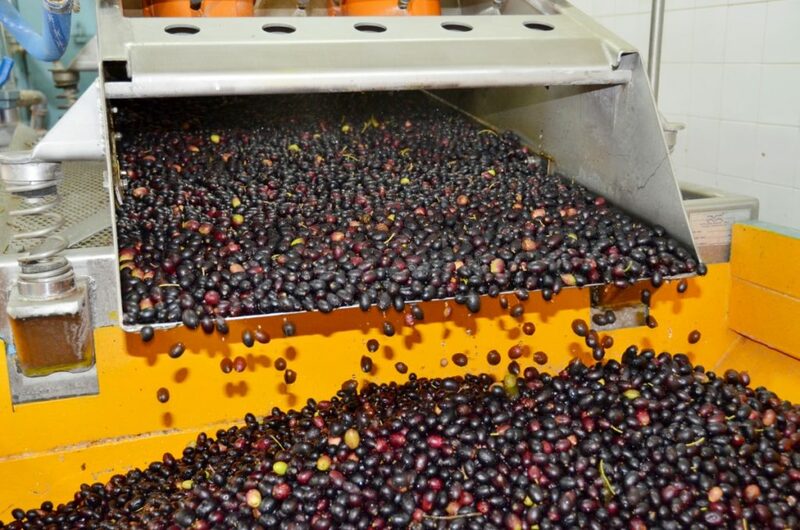 The drupes go through a wash to get rid of the residual impurities, such as leaves and twigs not yet discarded during the picking, ensuring the quality of the final product. 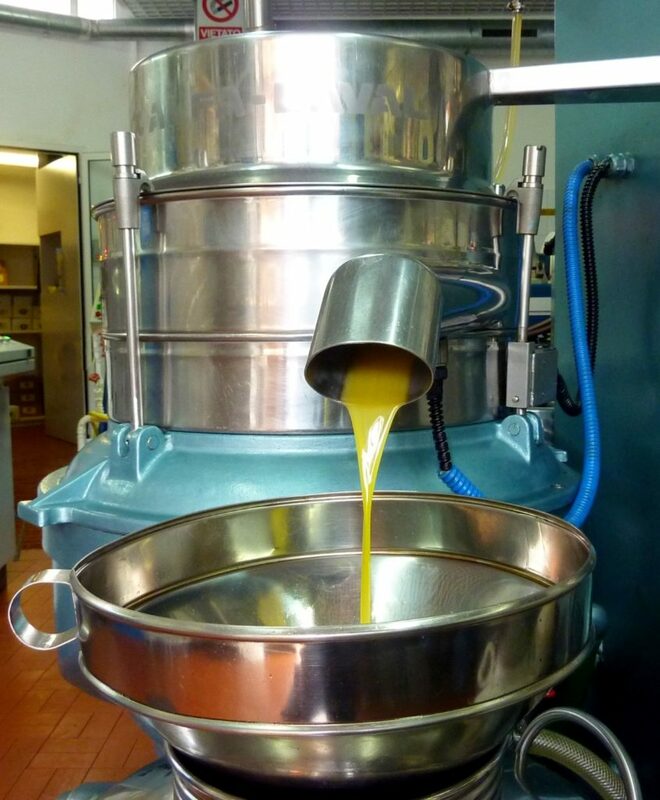 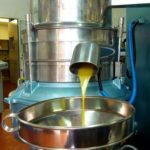 This miller is used in the process of the olives’ pressing that finally gives a paste from which will be extracted the olive-oil. 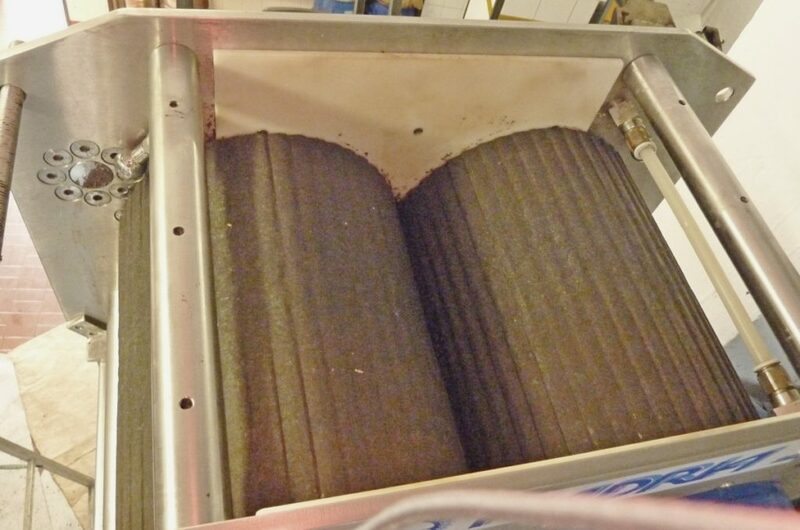 This machine replaces, but not denies, its ancient ancestor : the millstones. 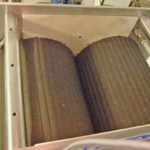 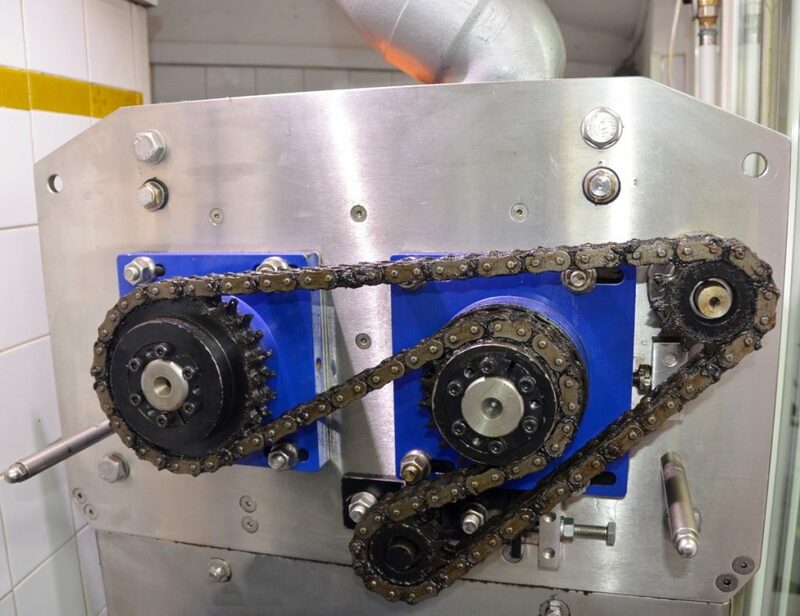 The inside of the miller consists of two granite rollers, which can contain the emission of heat during the “trituration” or pressing. 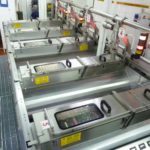 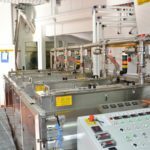 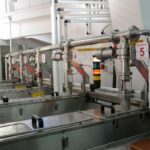 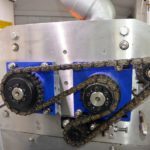 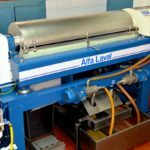 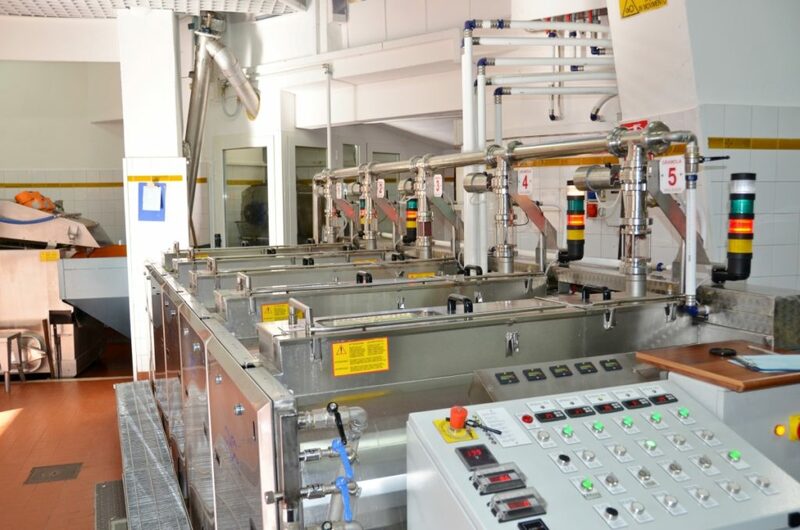 Therefore, it performs the same operations as the old machines, preventing the paste from the overheating so that the noble properties are not lost. 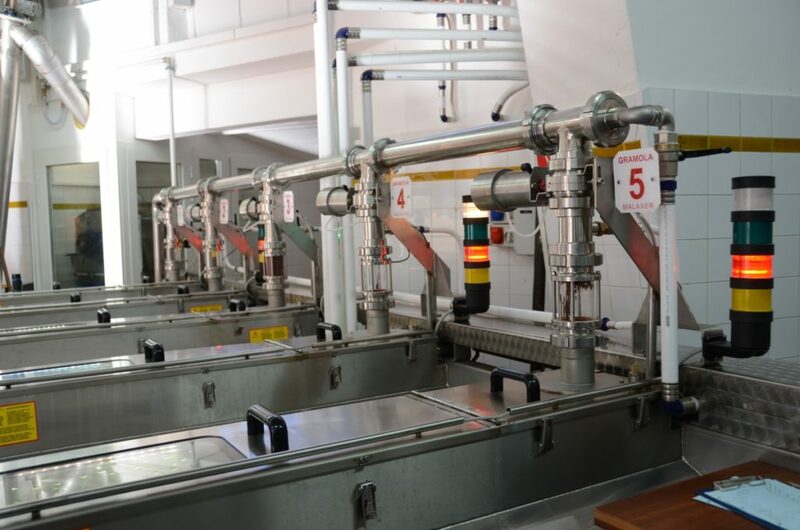 It accomplishes a basic role in order to obtain the best qualitative and quantitative result. 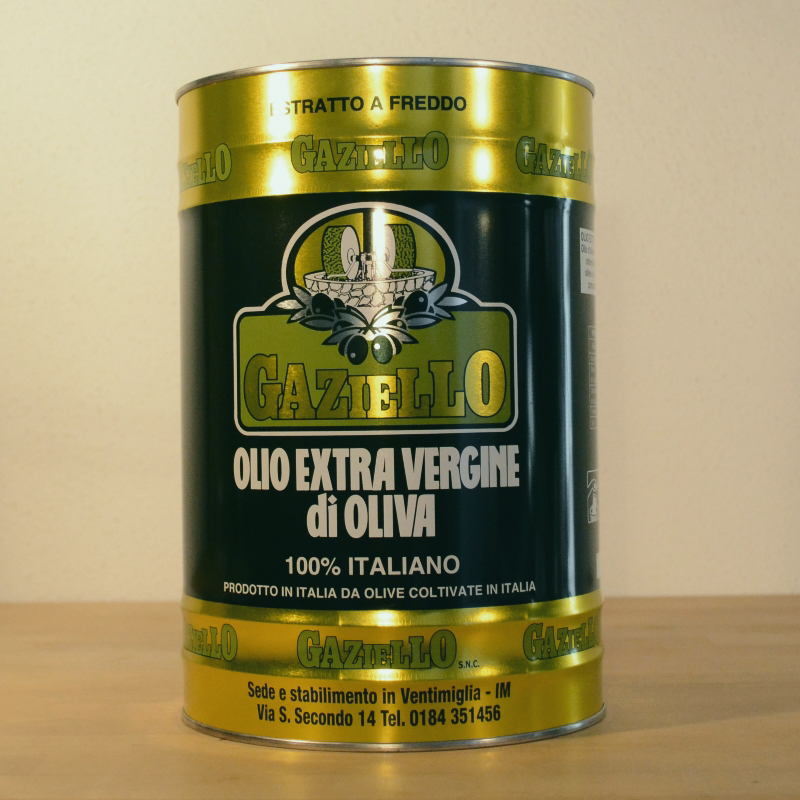 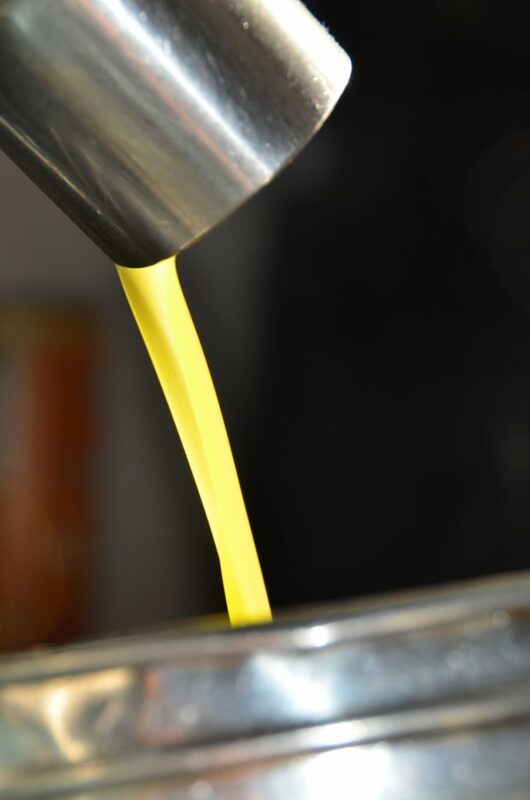 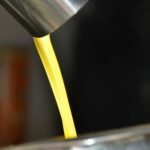 During this phase, in the olives’ paste, it happens that the membranes which wrap up the very small oil drops pass through some breaking phenomena. 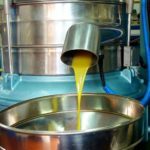 Moreover, the continuous mixing up, carried out by the reels, causes the coalition of the oily part, which will be later separated from the solid one. 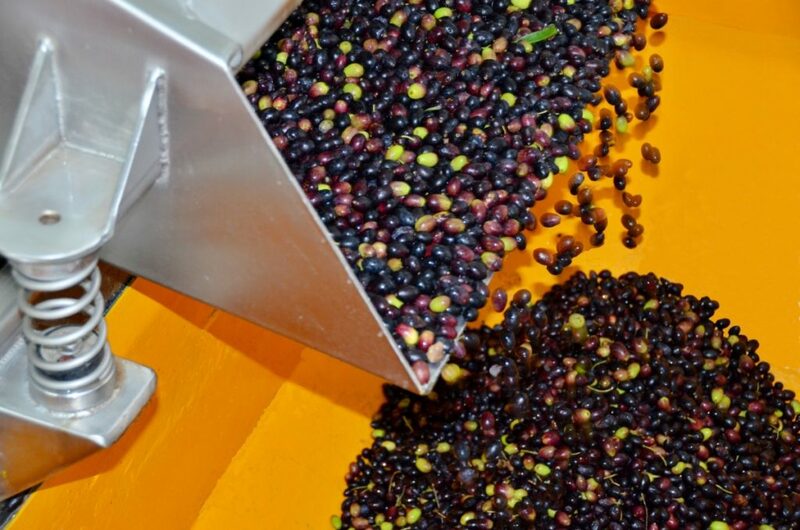 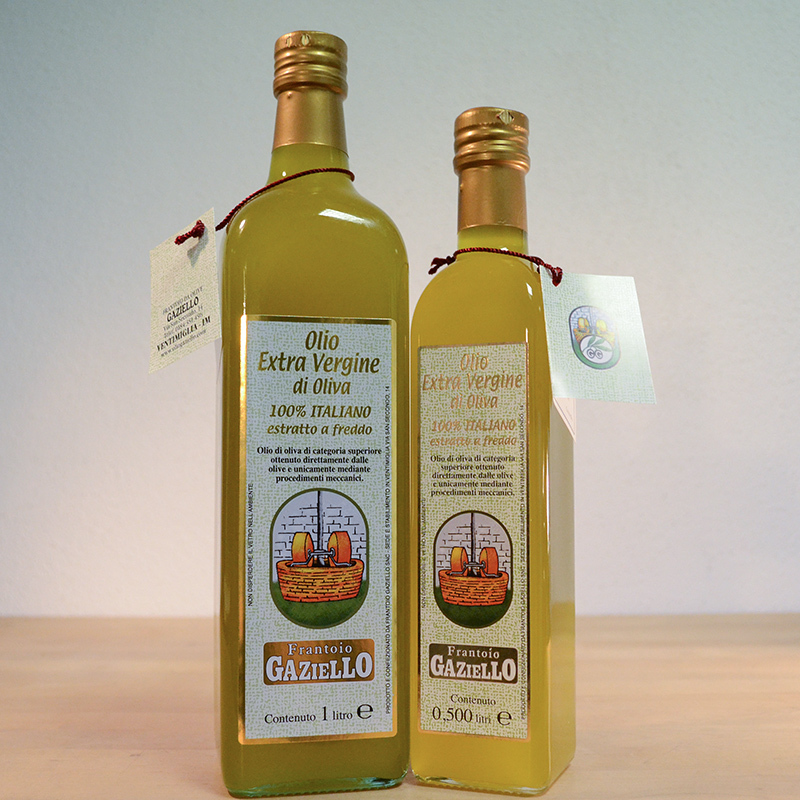 It symbolizes the cornerstone of the new technology in olive-oil extraction. 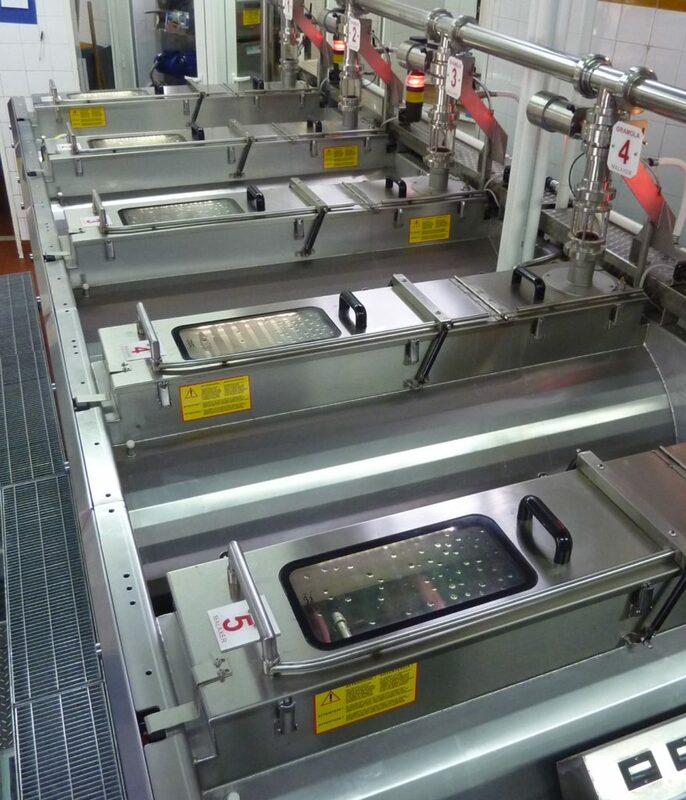 The decanter uses a mechanical-physical process, as in past times, but now it exploits the centrifugation, rather than the pressure, availing itself of the difference in the specific weight of the elements object of this operation : oil, water, and solid parts such as peels and olive-stones. 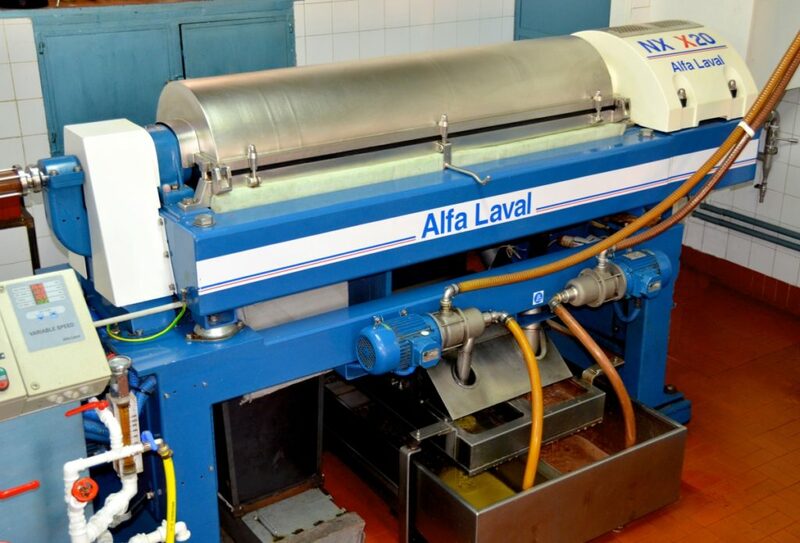 This machine has supplanted the task of the hydraulic press, which pressed the fibre filtering diaphragms, previously smeared with the olives’ paste and piled up one upon the other on a trolley, in order to induce the dripping of the oil which was gathered in a special tank on the same trolley. 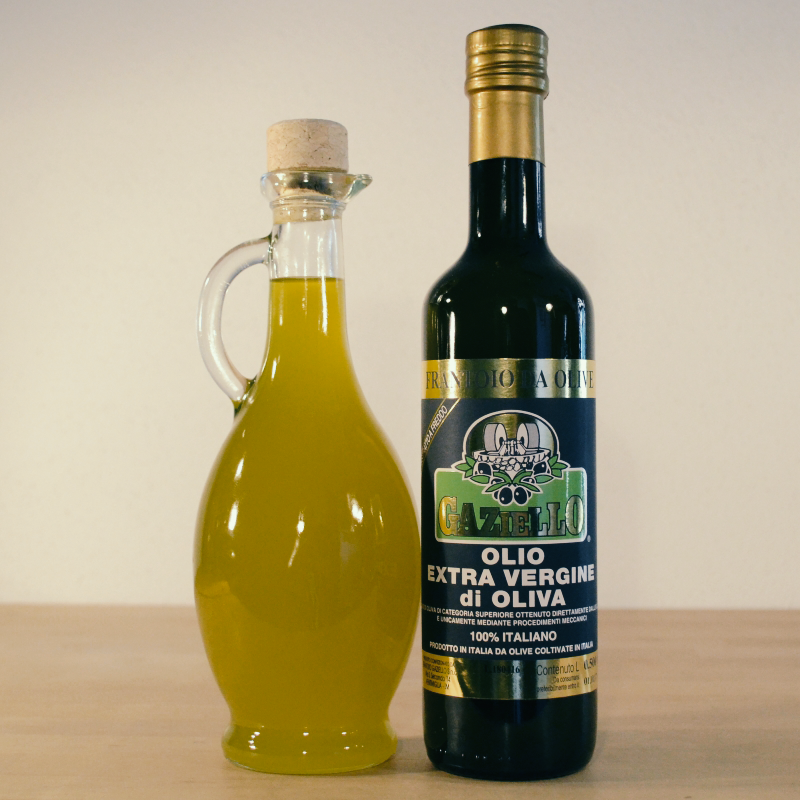 The decanter, contrary to the press, does not use during the production cycle any fibre elements : it was inevitable that these ones absorbed the oil and that, if not well cleaned, the olive-oil grew rancid, because of oxidation, compromising the quality of the product. 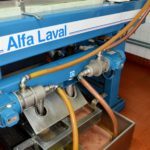 The decanter is wholly made up with stainless steel and thanks to its 3600 turns per minute, it extracts the oil by separating the oil from the husk. 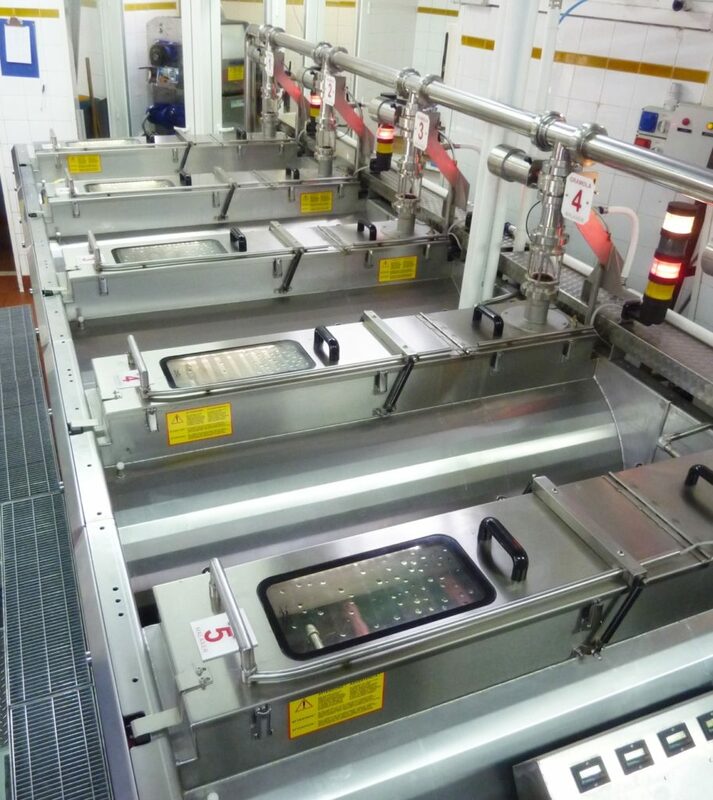 At the end of this operation, a powerful water jet recleans the inside walls, greatly ensuring excellent hygiene. 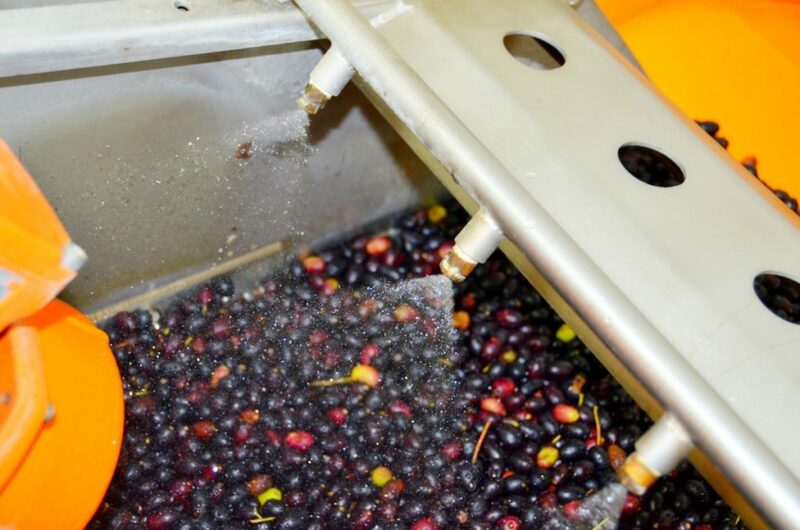 The quality and the preservation of the final product depends on the separator. 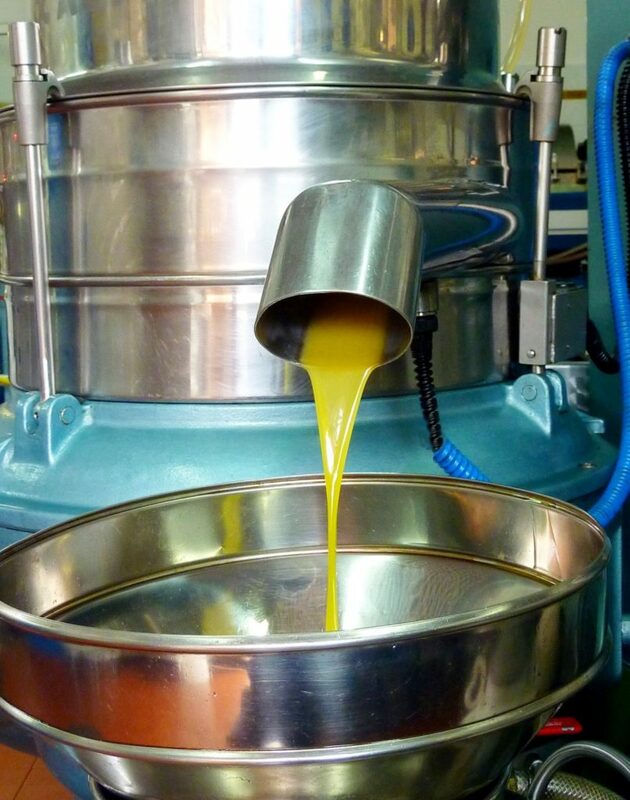 It further centrifuges the raw oil, in order to eliminate the micro impurities and the residual water. 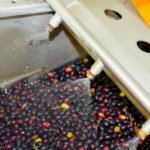 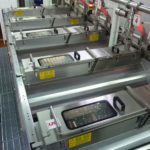 The obtained oil is then preserved in stainless steel tanks underground, maintaining an even temperature, then cleaned with traditional decanting.